Chanel Les Intemporels de Chanel Collection for Spring 2015 | Top Beauty Blog in the Philippines covering Makeup Reviews, Swatches, Skincare and More! Gabrielle Chanel created the 2.55 bag, iconic to the House of Chanel, in February 1955. Inspired by the leather-braided chain of the 2.55, the Chanel Makeup Creation Studio debuts a limited-edition collection firmly anchored in the codes of the House. 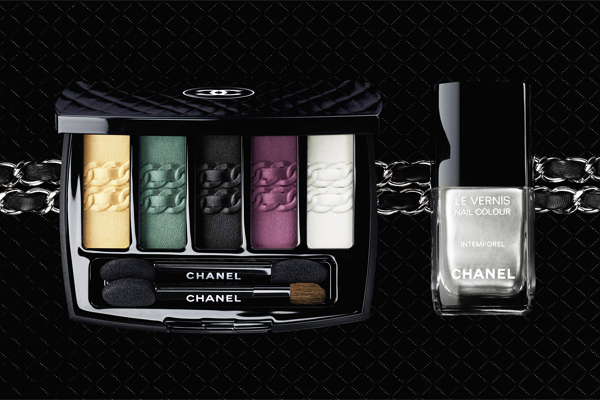 The exclusive creation Les Intemporels de Chanel offers an eye palette of five shades delicately connected by an embossed chain design, while Le Vernis in Intemporel reinterprets the glimmer of the inimitable metal chain. 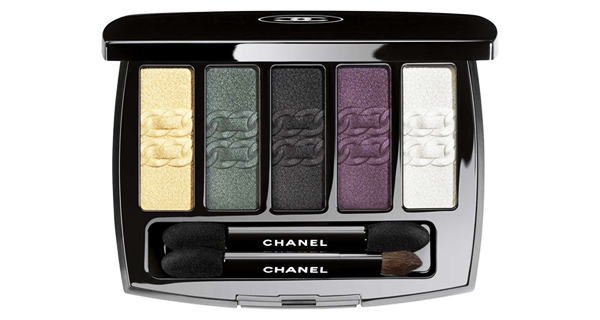 Les Intemporels de Chanel Eyeshadow Palette $80.00 (limited edition) - A striking harmony of five luminous eyeshadows, elegantly embossed to reflect the leather-braided chain of the iconic 2.55 bag. The rich palette features an absolute black to define the eyes, brilliant green and plum shades to enhance, and silver-white and gold tones to highlight. 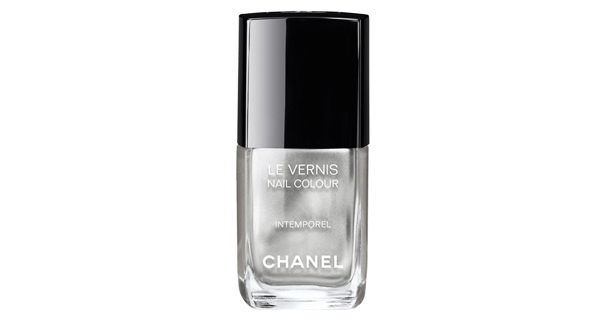 Les Intemporels de Chanel Nail Polish $27.00 (limited edition) - A glimmering silver shade, inspired by the reflections cast from the metal chain of the iconic 2.55 bag. All Chanel nail products are formaldehyde-free, toluene-free and DBP-free. That has to be one of the most gorgeous eyeshadow palettes ever! The eyeshadow palette looks gorgeous! I just love those shades. Beautiful colors of eyeshadows and nail lacquer! Gorgeous palette! That purple looks amazing!!! El esmalte de uñas tiene un color divino!!! That a pretty shade of nail polish from Chanel. I'm am wearing a shade that is very similar to that. Me encanta Chanel la paleta es divina!! I love chanel palette , I love to me. Lovely products. I really like the palette. Chanel always has such great beauty products and color choices. All of these colors look so chic and beautiful! I'm in love with the nail polish! I love silver. WOW gorgeous colors!!! I want!! This palette is so beautiful! Perfect colors! wow! I should buy them! I love both: the palette and the nailpolish! Omg that eyeshadow palette is so gorgeous! Thanks btw for leaving nice comment on Say Cheesy Cake , I really appreciate it. Beautiful :) Wanna follow each other?